This should have went live on Monday but because of a recent domestic (rather, animalistic) happening in our royal kingdom, I didn't have time time to post it and made kwento. 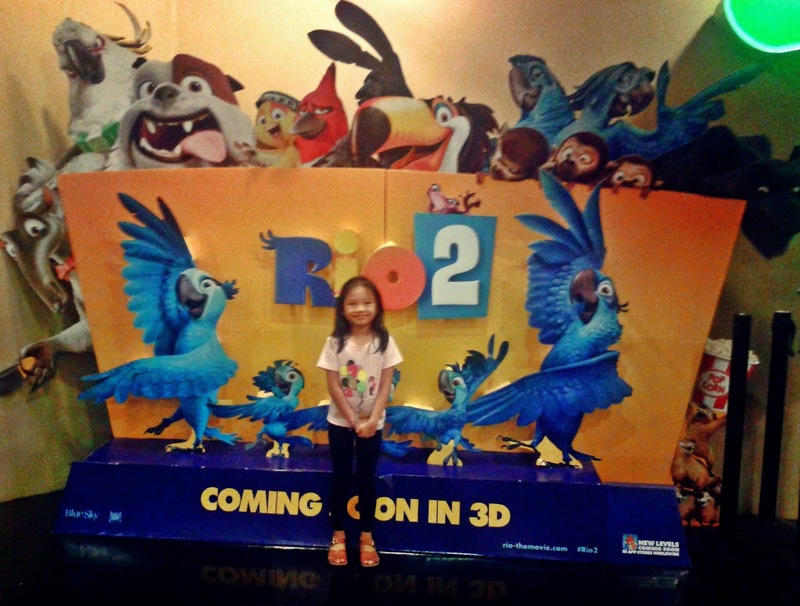 Yep, we watched Rio 2 last weekend and since this is Pia's second movie in the cinema house, I tried to observe her behavior while enjoying the film. She was less jumpy and only changed seats once. She didn't eat the plain popcorn that I bought though as she wanted it cheese-flavored. Oops, I didn't keep what I've promised from her first movie experience! Well, I bought her Krispy Kreme donuts after to compensate and it instantly made her happy. For her, having her favorites makes the evening full and cool. Oh, something really bad happened to us on the way to the mall prior the movie date. Will tell you about that soon. me and my 7 years old son watched Rio in Centrio Ayala Mall and he was so happy. He sure loves Blu.